Only a handful of freight forwarders are cleared to service cruise ships around the world. Trust and reliability are essential to ensuring punctual quayside deliveries when the ship calls for a brief visit in a foreign port. "We've been trying to get into this market for years and now we have. Meeting the right people is crucial, and it requires a big investment in terms of time and effort," explains Niels Larsen, President, DSV Air & Sea. 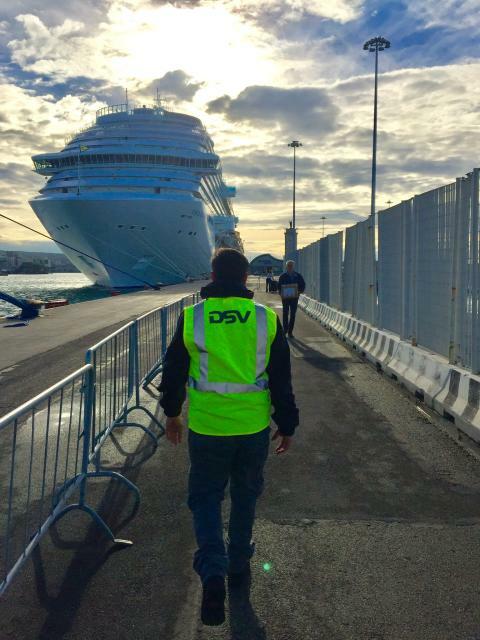 With the acquisition of UTi, DSV gained its very own Marine & Hospitality department, with a dedicated team of employees servicing nothing but cruise ships. Supplies are delivered quayside (cruise necessities) and in dry dock (typically supplies for maintenance, repairs or total refurbishing projects). The department is also involved in the building of new ships, not to mention last-minute emergencies; a few hours can be crucial to avoiding losses that may run into the millions if 1,200 passengers have to be flown back home fully compensated, because a spare part arrived two hours late. The Marine & Hospitality department has its own control towers staffed 24/7 by specially trained staff in both the US and Europe: "You need to have a knowledge base all over the world and be committed to and passionate about the industry as a whole," says Maxine Krajniak, Vice President, Marine & Hospitality, who heads up DSV's new global cruise team. "It is essential to have a department dedicated to the just-in-time environment and ready to provide round-the-clock service," she says. Maxine and her five Marine & Hospitality colleagues are constantly on their toes, because a single misstep could ruin what has taken years to build: "Most ships are only in port for up to eight hours. Passengers have to disembark and board the ship, and all the necessities have to be loaded on board. There is no room for error, because once the ship has departed, it will be gone for days before calling at the next port. Being there on time, every time, is how you create your reputation as a global leader in this industry, and it takes years to get to where we are now," she says. Maxine looks forward to the local DSV offices helping to earmark resources to further develop the department: "We have an obligation to our customers to keep investing in and developing the department. This is an industry that expects the highest degree of professionalism," she says. Maxine is looking forward to expanding the cooperation with both the Road division in Europe and DSV Perishables in the UK (which handles fresh food). "Today, we're restricted to delivering foodstuffs that don't require refrigeration. 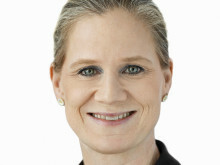 It would be very interesting to cooperate with DSV Perishables on supplying fresh foods to cruise ships,” Maxine says. Niels Larsen, President, DSV Air & Sea: "We're off to a very good start and we've succeeded in handling shipments where our competitors couldn't. I am fully confident that this will continue to be a success, and it is definitely a branch of our business that will have our utmost attention,"he says. Marine & Hospitality already has 10–11 major dry-dock projects on order. These will have a delivery window of one to three days for everything from new carpets to a complete refurbishing of the ships. In addition, DSV just won the tender for logistics supply to the building of Tui Cruises'’ Mein Schiff 6 in Turkey. The project runs from December 2016 to the summer of 2017. "We also helped to build the first five ships in this series, and our own Andreas Schwertfeger, who heads up our Marine activities in Europe, has excellent relations with European companies such as Costa Cruises, Tui Cruises and P&O Cruises," Maxine Krajniak explains.